Home » Insurance » Health Insurance » What is the Difference Between HMO, PPO, and HDHP Health Insurance? Shopping for health insurance is not easy. There is a multitude of acronyms, the paperwork is confusing, and there is page after page of fine print. But health insurance is critically important to protect you financially, so making a decision is important. 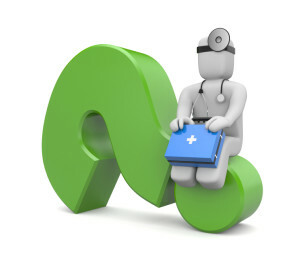 When shopping for health insurance you will see several options that also happen to be acronyms for the types of plans. HMO, PPO, and HDHP are some of the more popular types of plans. But what do these acronyms mean, and what is the key difference between all of your options? HMO stands for Health Maintenance Organization. With an HMO all of your healthcare runs through a primary care physician. This physician (called the PCP) is the first person you must see for every health issue you are having. If you need to have surgery you cannot go to the surgeon directly. You must first be seen by your Primary Care Physician and receive a referral to the specialist you need to see. With an HMO you pay a copay every time you visit a doctor’s office. If you visit your PCP first and then the surgeon second, you will pay two office copays. You may also only visit doctors that are within the HMO plan. This eliminates your ability to visit out-of-network doctors using your insurance. HMO’s can give you lower premiums. In return you sacrifice the ability to visit every doctor, but as long as the doctors you need are within the HMO structure then you should be able to have all of your healthcare needs taken care of. PPO stands for Preferred Provider Organization. Unlike an HMO, you are not required to receive a referral to every doctor you need to see. This eliminates the need for visiting your Primary Care Physician first, which in turn saves you an office copay. HDHP stands for high deductible health plan. Just like the name sounds, each plan has a high deductible that must be met first before your insurance kicks in. The easiest way to understands HDHP’s is to compare them to your auto insurance. Your car insurance has a deductible that must be met before the car insurance company will pay for any repairs. If your car has $1,500 in damages and you have a $500 deductible you pay $500 and the insurance kicks in $1,000 afterwards. HDHPs work the same way. The deductible depends on if it is a single person insurance plan or a family plan. For 2013 the deductible is $3,250 for individuals and $6,500 for families. You are essentially self-insured up to this amount, then your insurance kicks in and usually covers 80% of your costs. Due to the high deductible, HDHPs normally have significantly lower premiums than other health insurance plans. You don’t have to visit a Primary Care Physician, either. The downside is you are self-insured until you hit your annual deductible which can put a big burden on you, especially at the beginning of each plan year.